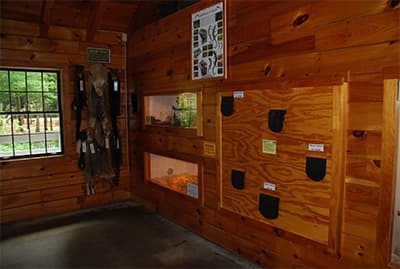 Try a variety of different activities in our visitor center. 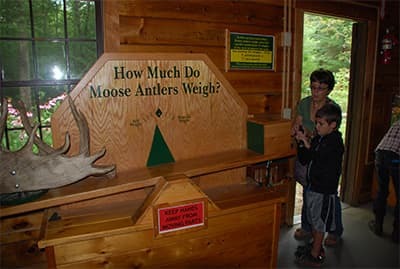 Weigh a moose antler, visit with some reptiles, or feel animal pelts from moose, bear, and smaller furbearers. 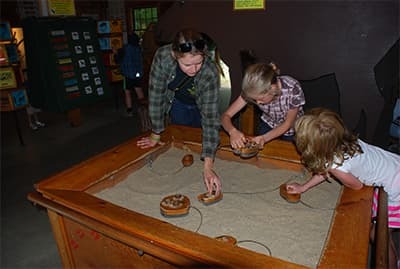 Play with puzzles and light-boards. 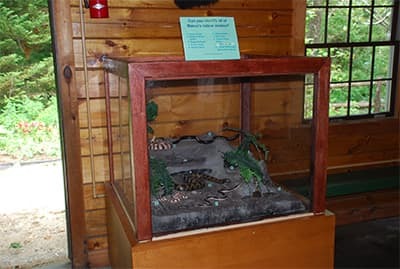 Make some tracks in our sandbox or see the many different places in Maine to look for Wildlife.